I, as the accountable authority of the Digital Transformation Agency, present the agency’s 2017–18 annual performance statement, as required under paragraph 39(1) of the Public Governance, Performance and Accountability Act 2013 (PGPA Act). In my opinion, this annual statement is based on properly maintained records, accurately reflects the agency’s performance in achieving our purpose, and complies with subsection 39(2) of the PGPA Act. success measures—related to our four priorities, from our Corporate Plan 2017–21. In our performance results we sometimes reference stages in our service design and delivery process. Discovery. Map the broader service landscape, research the needs of users, and understand policy intent and technology constraints. Alpha. Test hypotheses by building prototypes in code to explore different ways to meet user needs. Beta. Define a minimum viable product from the successful Alpha prototype and build this as an accessible and secure service. Trial this alongside the existing service and collect user feedback. ‘Private beta’ is a trial with select group of users. ‘Public beta’ is a trial with the public. Live. Make the platform available to users, and continue to improve the service based on user feedback. The roadmap will allow the government to identify and fund the digital transformation initiatives that will have the greatest impact on user experiences. Most digital services are designed to address the needs of a single portfolio or agency, but for many people, they will have to contact many different agencies to get one thing done. By tracking user journeys across government, we can assess what digital initiatives to invest in to improve users’ experience of government. performance criteria related to developing the roadmap and delivering associated strategies that support the government’s transformation agenda. Advice and guidance—We provided advice to Government on possible future investments, and guidance on digital transformation priorities and areas where investment could drive high-value changes (the priorities are confidential to Government). This resulted in decision-makers gaining a better understanding of the technology needed to support improved government services, and the contribution to business and the economy. Our advice focused on how agencies transform their approach to digital and ICT investment, to make a sizeable impact on how people and business interact with government services. See more details in Priority 3: Oversee and advise on ICT and digital investment. Baseline data—We collected initial baseline of performance data for high volume services, which we are continuing to augment. We will use this baseline performance data to track improvements to user experiences over time and identify future opportunities to improve services. Life event journeys—We researched eight life event journeys, such as ‘looking for work’, ‘accessing aged care’ and ‘Australians travelling overseas’. We have analysed what services support people through these events and what their experience is when using those services. We are now working with the relevant agencies to identify opportunities to improve user experiences. Services quality framework—This year we developed a services quality framework to provide government agencies with a consistent method for measuring the quality of the services they offer. Performance dashboards—We published four additional public service dashboards on the gov.au Performance Dashboard. 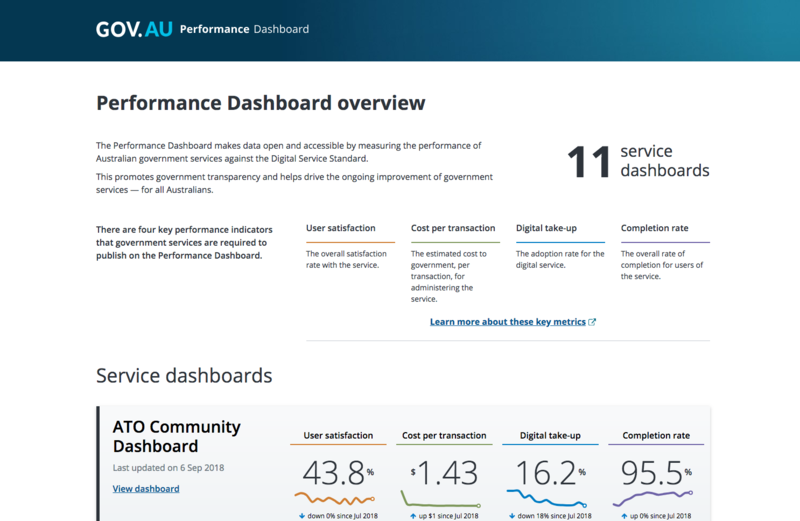 The Performance Dashboard aims to make data open and accessible by measuring the performance of Australian government services against the Digital Service Standard. This promotes government transparency and helps drive the ongoing improvement of government services. Secure Cloud Strategy—We published this strategy in February 2018, with agencies preparing plans to migrate to the cloud. Of the 58 agencies that responded to our inaugural cloud survey, 16 per cent already had a cloud strategy and 39 per cent were drafting one. Hosting Strategy—We are developing this guidance on data centres, infrastructure and transition to cloud, due for delivery in October 2018. Whole-of-government Platforms Strategy—We are developing this operating model governing the development and ongoing operation of reusable whole-of-government digital services platforms, due for delivery in September 2018. Content Strategy—We released this strategy iteratively over a six month period during the year, providing guidance to better manage and improve the quality of government content. Trusted Digital Identity Framework—We updated and released this framework for public consultation. 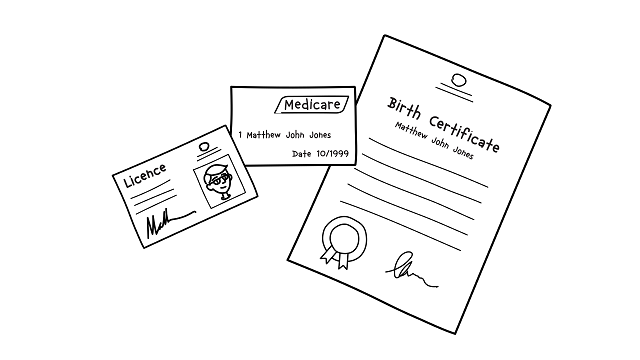 It is a comprehensive set of requirements that establish a nationally consistent approach to accredit, govern and operate digital identities in Australia. Digital Transformation Roadmap—During the year we began creating the new the Digital Transformation Roadmap (first published in December 2016). The updated Roadmap will complement the strategy. We also developed two sector-specific roadmaps for digital transformation for business and individuals over the next two years. Early in the year we focused on more immediate strategies, such as the Cloud Strategy, reprioritised as required and began work on other major projects as the year progressed—noting partial achievement of this performance criteria. New approach to our engagement—During the year we reviewed how we engage with government and industry including formally seeking stakeholder feedback to better understand their experience. As a result, we changed the way we engage with our stakeholders by introducing new processes, training and a flexible approach to planning that reflects the changing nature of our work. growing our social media reach, with a 60 per cent overall increase in followers on LinkedIn, Twitter and Facebook, and a 14 per cent increase in blog subscribers. Rather than develop a set plan around key initiatives, we improved our engagement approach on a case-by-case basis with the flexibility to update our planning as needed to complement the changing nature of our work. We are confident our new engagement approach will help to improve understanding of our role. As a result, we assess that we partially achieved this success measure. In late 2017–18 we commenced the development of a strategy to ensure Australia is one of the top three digital governments in the world over the next seven years. The strategy will be accompanied by a refreshed overarching roadmap, which will set out clear milestones showing how and when the Commonwealth will improve outcomes for people and businesses through digital transformation. The strategy will outline clear goals and steps for engagement and service delivery, decision-making, and supporting structures and business models. It will also bring together work we are already doing to advance digital transformation in areas such as platforms, cloud, hosting, content, digital identity, and critical infrastructure. We aim to deliver the strategy before the end of 2018, and have already consulted widely with jurisdictions, the private sector and the community. By the end of the reporting year, we had engaged directly with 30 government agencies, canvassing the views of stakeholders, to develop and circulate the alpha (first) draft of the strategy for comment. The Australian Government’s Digital Transformation Agenda aims to make services simpler, clearer and faster. We published the first government Digital Transformation Roadmap in December 2016 as an 18-month framework to guide the transformation of government services. We are now refreshing this to recognise progress to date and support implementation of the strategy by mapping out the high level timeframe for digital transformation. This year we also worked with relevant agencies to develop sector-specific digital transformation roadmaps for business and individuals. These roadmaps outline expected changes in experience for individuals and businesses as a result of digital transformation. We are researching high volume services to identify and track improvements to user experiences over time. This year we looked at several life event journeys—events that lead people or businesses to engage with government. returning to work after having a child. We analysed how these different events lead people or businesses to access services. We worked with relevant delivery agencies across government to develop a list of high volume services and engaged with agencies to identify more than 80 opportunities to deal with pain points and accelerate digital transformation. Nearly three-quarters of these opportunities are at least partially addressed by planned or current transformation projects. From our analysis of these life events we were able to identify a set of global pain points for users and focus on systemic, whole-of-government approaches to addressing these problems. We have identified a set of solution hypotheses and begun a program of experiments to start exploring and testing solutions. The Performance Dashboard is a place for government to publicly report on how services are performing. We create a dashboard for services as they reach their beta stage. The dashboards report against indicators including user satisfaction, cost per transaction, digital take-up and completion rate. There are now 11 service dashboards ranging from tax and trade marks to newborn enrolments. This year we published four more services on the Performance Dashboard. We worked with service teams to help them identify outcome-focused metrics for their service. By measuring and reporting on the right metrics, service teams are able to find areas of improvement to the experience for their users (for example, if completion rates decrease it is likely to mean users are struggling to successfully complete a transaction). developing a range of tailored communications products and materials, such as blogs and presentations, to engage stakeholders through information and thought leadership on digital transformation. During 2017–18 we reviewed the way we engage with our stakeholders. Based on feedback we introduced a more effective and coordinated engagement approach across our agency (see Spotlight on…Transforming our engagement). The way we engage with our stakeholders is central to our ability to accelerate digital transformation in government. We lead, guide and collaborate with a wide range of stakeholders to improve digital services. That is why one of our performance criteria for the year was to develop and deliver a detailed engagement plan around key initiatives. Our stakeholders’ engagement experience is important to us, so we formally asked for their feedback to better understand our engagement landscape and experience. We found that while there was goodwill from our stakeholders, our previous engagement activities had been inconsistent and there was room to improve. As a result, we have changed the way we engage. During the year, we signed a Memorandum of Understanding with the Australian Information Industry Association to strengthen and formalise our engagement with the information industry. As a result, regular meetings between the DTA, the Australian Information Industry Association and its members are providing more opportunities for critical feedback, strategic discussions and practical engagement. To coordinate the engagement happening across our agency, we have established engagement principles and set up an Engagement Guild. These principles guide our engagement and help us track and evaluate our activities. The guild brings together people responsible for engagement in their teams. The guild meets regularly to run through engagement activities, share experiences, ensure our engagement is coordinated and consistent and build our engagement capability. We are uplifting our skills by rolling out International Association for Public Participation (IAP2) training for staff. The training focuses on defining issues, identifying stakeholders, planning and ensuring their involvement, and evaluating effectiveness. To help reach our stakeholders on their preferred channels, we increased use of social media, growing our Twitter followers by 34 per cent, LinkedIn followers by 106 per cent, Facebook likes by 147 per cent and blog subscribers by 14 per cent. Our improved engagement approach enables the flexibility to update our planning as needed to complement the changing nature of our work, while supporting more strategic and coordinated engagement across our agency. A digital platform is a system that multiple agencies can use to deliver services. By reusing and sharing digital platforms, agencies can reduce duplication of effort and assets. This approach will save money, improve the experience of government services and increase familiarity with government digital systems. performance criteria related to the development and integration of whole-of-government platforms. Notifications—We delivered the discovery report and alpha prototype and report for this platform. Tell Us Once—We delivered the discovery report and alpha prototype and report for this platform. Payments In—We delayed this platform in favour of work delivering the discovery report and alpha prototype for the Federated Data Exchange. This will lay the foundations for future work and at the same time allow Payments In to better align with emerging payment capabilities such as that being delivered by the Department of Human Services through the Welfare Payments Infrastructure Transformation Programme. We intend to begin discovery work for the Payments In platform in 2018–19. GovPass digital identity ecosystem and Trusted Digital Identity Framework—This year we released the first and second versions of the framework for public consultation, and worked with several agencies to prepare for beta trials in 2018–19. Other whole-of-government platforms successfully used across government—We are providing better infrastructure for government through other platforms including cloud.gov.au, Google Analytics, data.gov.au and National Map. Google Analytics—This platform attracts more than two billion hits per month across 16 agencies and their websites, mobile apps and services. Data.gov.au and National Map—These platforms aim to make it easy to find, access and reuse public Government datasets, including map-based spatial data. Data.gov.au now hosts 26,927 public government datasets and National Map provides easy access to map-based spatial data from more 10,000 government agency datasets. cloud.gov.au—This secure and resilient cloud platform for hosting government websites and applications sees more than 50 applications deployments daily. Domainname.gov.au—We manage ‘gov.au’ domain names (reserved for Australian, state and territory and local government entities) on behalf of registrants. We provide guidance and services related to applying for, managing, changing and removing gov.au domain names. We are working with the industry policy and self-regulatory body, auDA, as well as the state and territory domain administrators from across Australia. As at 30 June 2018, we had commenced a discovery phase on replacement of the self-service portal for gov.au domain registrants, which is expected to enter beta phase by the end of 2018. Platforms strategy—This year we began work on a whole-of-government Platforms Strategy that considers how to build on and link up existing platforms, and how they could be expanded and reused in the future. Return on investment—Several platforms and related strategies are already providing a return on investment by saving agencies time, effort, resources and money. This includes the Secure Cloud Strategy and cloud.gov.au, Google Analytics, data.gov.au and National Map. Baseline work—We compiled baseline information related to Tell Us Once and Notifications. myGov use—myGov is a simple and secure way to access a range of government services. myGov usage has nearly doubled in the past two years, and at 30 June 2018 it had over 13 million accounts. In 2017–18, on average, myGov had almost 300,000 daily logins. Services provided—The focus of myGov is changing as we continue to learn more about user needs. We laid the groundwork to connect an additional service to myGov during 2017–18, the National Redress Scheme. We are working to improve myGov services by making it more accessible with options to authenticate using the myGov Access mobile app, and regain access to an account without having to contact a service centre. We researched how myGov branding might improve user experience on new platforms Tell Us Once and Notifications, and researched how to improve the myGov experience for government agencies. Performance framework—We developed and implemented a myGov performance framework, following consultation with the Department of Human Services and myGov member services, to more effectively track and report on operational and overall performance. The framework will use expected outcomes reporting to enable member services to track myGov’s performance. Whole-of-government digital platforms reduce the need for each agency to build their own capability. Sharing common platforms makes it faster, simpler and more efficient to deliver digital services. It also supports more consistent user experiences and frees up agencies to focus on how they can best meet users’ needs. Implementing whole-of-government platforms will provide substantial ongoing departmental efficiencies. As we work across agencies to plan and develop platforms, we find opportunities for alignment and improved integration. This year we began work on a whole-of-government Platforms Strategy that considers how to expand and connect existing platforms, and how to ensure they align with the overarching Digital Transformation Strategy as it is developed. Tell Us Once—This year we completed the discovery (research) and alpha (prototype) phases for this platform, which will allow people to easily advise government of changes in their personal circumstances. Notifications—We also completed the discovery (research) and alpha (prototype) phases for this platform during 2017–18. This platform will allow government to communicate with people using services in a secure and timely way. It will be configured to users’ needs and give people receiving the communication greater transparency and control over their interactions with government. GovPass digital identity ecosystem and Trusted Digital Identity Framework—This will allow people to set up a digital identity with their chosen provider and reuse, providing simple, safe and secure access to a range of government digital services. We have done extensive research over the last two years to bring this together, working with Commonwealth, state and territory government agencies, privacy groups and financial institutions. During 2017–18 we updated and released the framework for two rounds of public consultation. We worked with eight agencies to prepare to begin public beta trials for the platform in 2018–19 (see Spotlight on…Developing a digital identity solution). Google Analytics—During January 2018 we expanded this whole-of-government platform. It tracks more than two billion hits per month across 16 agencies and their websites, mobile apps and services. We also started offering monthly training, attracting 119 people from 62 government agencies in the first six months. Analysis of training results demonstrates significant improvement in participant knowledge and confidence. Federated Data Exchange—We completed discovery (research) work for this platform. The objective is to enable agencies to have real-time, direct access to each other’s data through an exchange facility, without needing to build individual data exchanges, and while still complying with privacy and security requirements. Government data initiative—We are working on an initiative that supports finding, accessing and using government data. This initiative relates to developing application programming interface (API) standards. APIs are a set of clearly defined methods of communication between various systems. Data discovery tools—We are creating data discovery tools for government, in partnership with CSIRO’s Data61. Data.gov.au—This platform provides an easy way to find, access and reuse public government datasets. It is part of the commitment to open government. Since we took on the platform, the number of datasets hosted has grown from 25,785 to 26,927, an increase of four per cent. We have also partnered with CSIRO’s Data61 to build a new search and discovery interface that will make it easier for people to search and access the 6,927 datasets discoverable through data.gov.au. By the end of June 2018, a beta site with continuous iterations and improvements had been running for six months. National Map—This platform provides easy access to map-based spatial data from 10,000 Australian Government agency datasets. We assisted CSIRO’s Data61 with new platforms for an open data proposal to improve user experience, ease of use, and agency access to this platform. Secure Cloud Strategy—The strategy focuses on helping government agencies use cloud more easily to help them move to a more agile method of service improvement. It encourages rapid uptake of cloud services across government. It enables agencies to take advantage of the agility, flexibility and speed of delivery while maintaining availability, integrity and confidentiality. Agencies are required to have cloud strategies in place by 30 November 2018, and they are all on track to do this. As at 30 June 2018, of the 58 agencies that responded to our inaugural cloud survey, 16 per cent already had a cloud strategy and 39 per cent were drafting one. cloud.gov.au—Initially established in January 2016, cloud.gov.au is a secure and resilient cloud platform for hosting government websites and applications. The platform focuses on developer productivity and enables government agencies to rapidly prototype new ideas as well as run reliable services for their users. 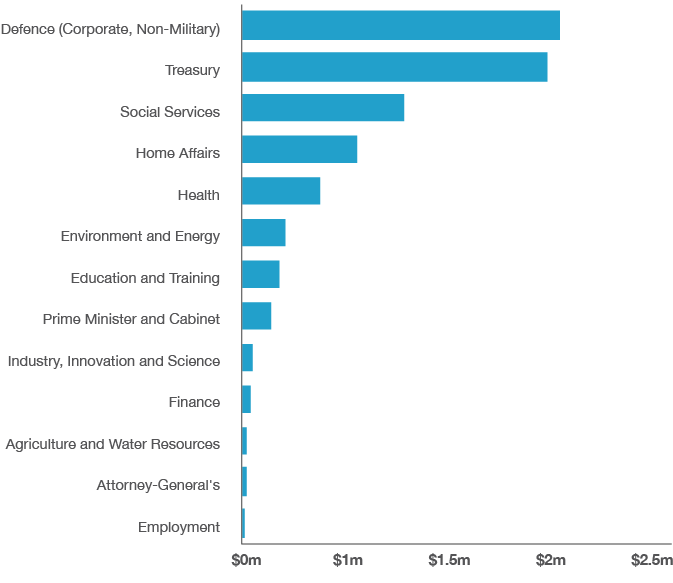 The cloud.gov.au platform uses industry leading open source technology that is comparable to those used in the United Kingdom and the United States. There are more than 200 applications running on cloud.gov.au and a typical workday sees more than 50 application deployments. Assistance to agencies and information sharing—We also continued to assist agencies to adopt cloud strategies and established an online Cloud Forum and monthly Cloud Showcase to share best practice and lessons learned across more than 40 agencies. In addition, we created a dashboard to display cloud insights. Hosting Strategy—We started working with government agencies to develop this strategy, which will set a clear direction for hosting. The strategy will balance sufficient oversight and guidance to safeguard the security of government systems and data, with the agility and speed to market needed to address policy changes and improve the service experience for individuals and businesses engaging with government. It will cover the wider ecosystem, encompassing data centre facilities, compute, storage and cloud (for classifications of Protected and below). It will also include standards addressing risks related to data sovereignty, ownership and control, and set minimum standards (system, legislative, policy) for government, hosting and cloud services suppliers. Google Analytics—To date, with 16 subscribed agencies, this platform is delivering a saving of around $1 million a year (compared with when those agencies ran individual contracts for these services). Further savings are expected through coordinated procurement. National Map—Participating agencies save on the cost of individual software licences, and technical specialists needed to prepare high quality map-based data products. Non-participating agencies also save costs by having access to geospatial specialist advice and guidance via data.gov.au. A single license can cost between $500 and $1200 a year and the salary for a single specialist can be up to $180,000 a year. Secure Cloud Strategy and cloud.gov.au—Agencies, from large to small, are using our Secure Cloud Strategy and associated guidance and education. This means they do not have to investigate their cloud strategies from scratch. It is also helping improve the resilience and agility of their services. We have completed a baseline of the current investment on secure cloud solutions across agencies in order to track the financial benefits of the strategy. Our user research consistently shows that people want to interact with government as a whole, not individual agencies. myGov is a simple and secure way to access government online services, allowing users to link up to 10 different services using one system, with one login. Services linked to myGov accounts range from health and taxation to child support and aged care. The DTA is the owner of myGov. We are responsible for developing myGov policy, strategy, user experience and bringing in new services. Additional service—We laid the groundwork to connect an additional service to myGov, the National Redress Scheme. Integration with platforms—We developed strategies to integrate myGov with emerging whole-of-government platforms including Tell Us Once, Notifications, Payments In and the GovPass digital identity ecosystem. Common branding—We began discovery projects (research) on whether common myGov branding across new platforms will provide a better user experience. This will be implemented in the alpha prototypes for Tell Us Once and Notifications. 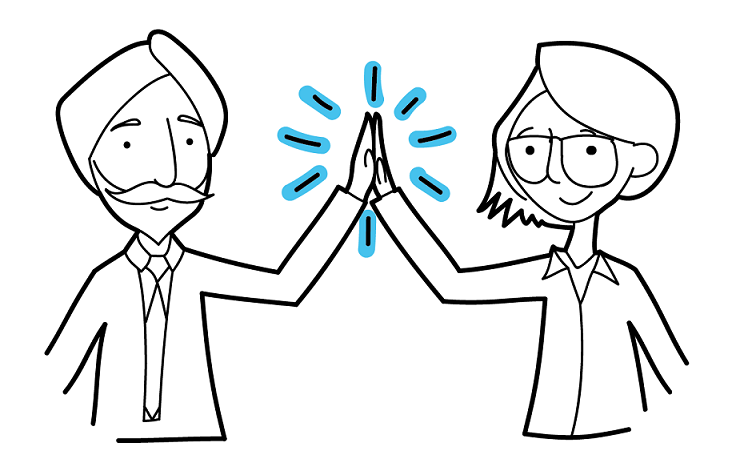 Agency experience—We completed discovery (research) on how to improve the experience for government agencies working with myGov and overcome barriers to increasing the number of myGov services. Accessing government services should be simple, safe and secure. To deliver on this, we need a trusted digital identity solution for secure online transactions. At the moment, the government uses more than 30 different logins for digital services. Instead, we want people to be able to establish their identity once, and use it multiple times to access multiple government services. Through the GovPass program we are working with government agencies, the private sector and the public to develop the standard for digital identity. The first step toward delivering a trusted digital identity solution is to develop the Trusted Digital Identity Framework. This provides the standard—the foundation for consistent, secure and reliable digital identity for everyone. We published the first component of the framework for comment in November 2017 and updated it based on more than 1000 comments from community and industry. The Trusted Digital Identity Framework outlines the standards of online identity services for individuals, including accreditation, authentication, fraud control, identity proofing, privacy, protective security, risk management, useability and accessibility. We invited consultation on the second release of the framework in mid-June 2018. The GovPass digital identity ecosystem has been designed with privacy in mind. It features components to ensure people are in control of how their identity is used. The Australian Government will have an identity provider called myGovID, which is being built by the Australian Taxation Office. myGovID will connect to a gateway between providers and services, called the Exchange. The Department of Human Services will build the Exchange. This protects user privacy, as service providers will not see any user identity information, and identity providers will not know what services users are accessing. Additional components used in the GovPass digital identity ecosystem will include an authorisation service for individuals acting on behalf of a business and the Facial Verification Service, managed by the Department of Home Affairs. The first identity provider beta pilot is due to start in October 2018. This pilot will enable up to 100,000 users to apply for a Tax File Number online. The current process requires people to visit a service centre to verify their identity, with processing typically taking up to six weeks. The introduction of the GovPass pilot will reduce this to around 15 minutes, with no need to present at a service centre. 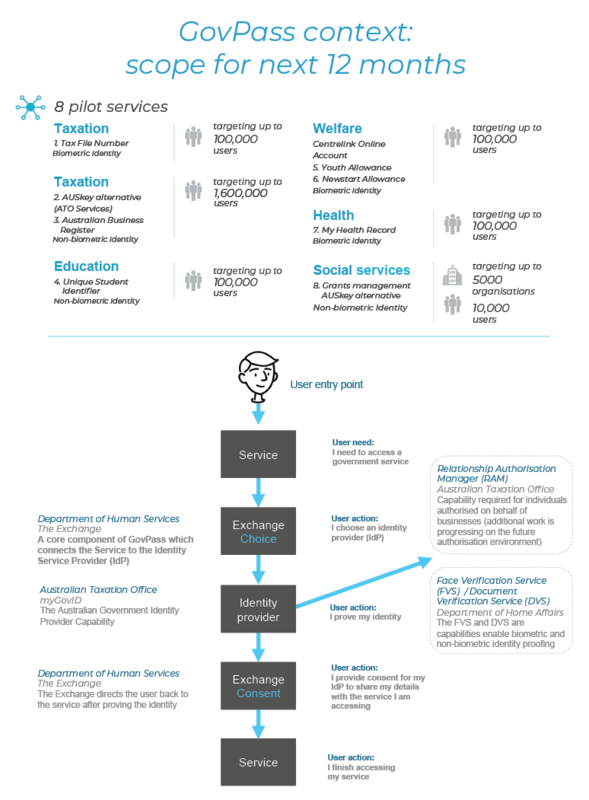 Other pilot services connected to digital identity during 2018–19 will include AusKey, Tax File Number (TFN), Australian Business Register (ABR), Grants Management, My Health Record, Unique Student Identifier, Youth Allowance and Newstart Allowance. We are also encouraging more organisations to become accredited identity providers, including Australia Post, state and territory governments and from the private sector. This will mean more choice for users to establish a secure and reusable digital identity with a provider they trust. By the end of 2018–19 we expect to roll out pilot services up to 2.1 million people and businesses to move from manual to digital identity verification. This will improve safety and convenience for government service users and improve government efficiency. We will continue to consult stakeholders during this process to make sure we can create a digital identity solution that meets the Australian community’s expectations and needs. Diagram of the context of Govpass. We have oversight of all significant government ICT and digital investments. This gives us the opportunity to consider potential risks, assess whether projects are cost effective and delivering their intended benefits, find opportunities to share platforms, and coordinate procurement so the government can make the most of its buying power. Our oversight helps to make sure investments are delivering value for the users and for the government. performance criteria related to establishing a whole-of-government ICT and digital program management office and providing advice and to government on investments. Digital Investment Review—We engaged with 20 agencies through our review of digital investments, which is designed to help set up major ICT projects for best success. Oversight and advice on projects—As at 30 June 2018, we had oversight of 68 active ICT and digital projects and provided strategic advice to assist decision-makers on proposed new investments. We also provided more targeted oversight of several ‘in flight’ projects due to their complexity, the significant amount of money invested in them, or their strategic importance—equating to 43 per cent of the portfolio by budget. Targeted advice—During the year we provided targeted advice through various governance forums, workshops and drop-in clinics. We advocate for digital transformation through our involvement in senior committees, steering groups and project boards. Data collection and reporting—To inform and drive transformation and improved outcomes, and to inform a baseline for future performance periods, we collected data on the government’s overarching portfolio of ICT and digital investments. We also provided regular advice on the health and trajectory of major investments in this portfolio. In addition, during the year we improved our data collection and analysis of government digital and ICT investments. Principles and guidance—We developed principles to guide agencies on transformation work, to help accelerate user experience improvements and the delivery of benefits. We also developed an initial set of requirements related to data collection, management and interoperability, for agencies to include in investment plans. Program management office—We established an ICT and digital program management office, called the Digital Investment Management Office. Analysis and advice—Through this office we provide government with strategic advice on proposed new investments to check they align with government direction for digital services, procurement and improved return, and to reduce risk by moving to smaller, more easily managed ICT projects. Our advice also led to agencies considering whole-of-government services rather than extending in-house systems. We also provided regular advice to government on the health of the overall ICT and digital investment portfolio, and targeted advice to agencies through involvement in governance forums, workshops and drop-in clinics (see success measure 3.1). Service delivery improvement—Our Digital Investment Management Office also captures information on service delivery through regular data collections, which identify high value services currently without a significant digital presence and where existing digital services could be improved. providing regular advice to government on the health of the overall ICT and digital investment portfolio. Australian Bureau of Statistics planning for Census 2021, looking at ways to deliver using agile techniques, reducing risk and delivering value faster. In 2017–18 non-corporate Commonwealth entities spent $1.2 billion on ICT and digital initiatives. We are building a clearer picture of the breadth of projects, and helping to improve return on this investment. During the year we engaged with a wide range of agencies through our initial review of digital investments including costs, benefits, risks and status of ICT projects and programs worth more than $10 million. The aim was to see how major ICT projects were tracking and help set them up for success. During the course of the year, our engagement expanded to more than 24 agencies, covering more than 80 initiatives. Through this work we gained insights into where ICT investment is going and how those projects are performing (see Figures 4 and 5 for early insights). At the same time, we continued to improve the way we collect and use data, and developed new and more strategic approaches to investment analysis, governance, risk management, program management and how to measure benefits. Our agency develops and provides guidance to agencies on applying ICT procurement policy. We are working to support best practice procurement, inclusive markets and good working relationships between buyers and sellers. This will mean that agencies can embrace modern, streamlined ways of doing business now and into the future. success measure related to value for money on ICT spend. ICT procurement framework—This year we released the ICT Procurement Taskforce report and began implementing the 10 recommendations including a framework, policies and templates to improve digital sourcing and procurement practices, and deliver reform. ICT procurement policies—We released the ‘Capped Term and Value’ Policy and started developing the Panel and Fair Criteria Policies. The policies are designed to improve the experience of buying and selling digital products. Digital Marketplace—The Digital Marketplace is improving procurement practices across government by driving increased competition for the government’s annual ICT spend. In 2017–18 another 469 sellers registered, 43 more agencies used the Digital Marketplace and 643 opportunities were published. Whole-of-government volume sourcing—We leverage combined government purchasing power to get better prices and consistent terms and conditions. In 2017–18 we established new supplier whole-of-government arrangements with IBM, SAP and Concur Holdings. During the year we also released the first category of the new Software Licensing and Services panel, which was for Microsoft licensing. Digitally enabled panel trial—We supported the Australian Taxation Office in trialling the transition of one of its panels to the Digital Marketplace. This involved digital enablement of the panel, involving 21 agencies and 22 suppliers. Users reported the panel enabled a simple and easy procurement experience. Digital Sourcing Framework for ICT Procurement—We spent six months codesigning with government agencies the underlying framework to help agencies buy digital products and services in an effective and efficient way. The first phase went live in June 2018. We also released a Digital Sourcing Contract Template to make it easier for buyers and sellers to agree terms. ICT Procurement Policies—We released the ‘Capped Term and Value’ Policy, which limits the size and duration of projects to reduce risk and improve market openness. A discussion paper on a draft Panel Policy was released with the aim of designing panels that are more industry-friendly and lead to better purchase outcomes for government. We also started developing the Fair Criteria Policy to improve fairness for suppliers in sourcing decisions. Digital Marketplace—We increased competition in the market and helped smaller businesses compete for government contracts through the Digital Marketplace. A total of 952 sellers had registered as at 30 June 2018. The contract value awarded to SMEs through the marketplace was 74 per cent, more than double the last-collected Australian Public Service average of 30 per cent in 2015–16 (see Spotlight on…Better business, better outcomes). Volume sourcing and panel arrangements—We managed a range of ICT procurement arrangements for agencies to simplify procurement processes, reduce administrative costs, improve terms and conditions, and secure better value for money. These included the Cloud Services panel, Microsoft Volume Sourcing arrangement, Data Centre panel, ICT Hardware panel, Mobiles panel, Telecommunications Services panel, Software Licensing and Services panel, and the Digital Marketplace. We hosted a CEO roundtable with a dozen leaders from digital business to consult on issues such making panels easier to join and use, asking the market for outcomes, and encouraging alternative contracting methods. Based on sellers’ interest in providing their expertise, we hosted a co-design workshop with industry and scoped a new ‘Ask the Market’ feature, for the Digital Marketplace. The way government sources digital products and services is changing. In August 2017 the government announced significant reforms, including capping maximum contract values and duration. The aim is to change government buyer behaviour, breaking down large purchases into smaller, component parts. This is expected to open up more opportunities for SMEs and increase government’s access to innovation. Other changes include reducing the number of IT panels, to make it easier for small players to supply services, developing ICT-specific procurement principles, building strategic partnerships, supporting data-driven reporting, and enhancing public service procurement skills and new procurement methods. The reforms are accepted recommendations of our ICT Procurement Taskforce report released in August 2017. We are taking new and innovative approaches to help change the way government buys ICT and digital services. This includes looking at how design processes can be more focused on both government and industry needs. One example is designing policy using exemplar teams made up of multiple government agencies, led by service designers and user researchers. The ‘panel policy exemplar’ team from six agencies came together for four weeks to look at how to simplify the way government buys digital products and services. In this concentrated period of time, the team did extensive research, mostly one-on-one interviews and predominantly involving industry. Alongside these reforms we are running the Digital Marketplace, which is helping to connect government buyers to small and medium sellers. The Digital Marketplace allows for procurement interactions to match the level of simplicity or complexity appropriate to the circumstances of the buyer and seller involved, and makes the outcomes more transparent. $134 million in contracts were reported, with 13 per cent growth each month. Half the registered buyers are from state, territory and local governments, demonstrating the value of our work leading collaboration across government to deliver better outcomes for SME digital enterprises, government agencies and, ultimately, the people using their services. The Digital Marketplace has been developed in an agile way, and will continue to evolve over time in response to user needs. We are partnering with agencies across government to raise the level of digital skills in the Australian Public Service. Skilled digital workers can design the best digital experiences for users and champion the adoption of digital service delivery. Building internal digital capability makes the public service less exposed to increasing market rates for contractors, reduces design and delivery risk, and will encourage innovative thinking. success measure related to improved digital capability of staff across the Australian Public Service. Partnership with the APSC—We partnered with the APSC to provide access to quality assured digital training. This included developing a digital skills blueprint for the Australian Public Service, piloting the first of 12 learning standards identified in the blueprint, and piloting a program for the Senior Executive Service on leading digital transformation. Digital Training Marketplace—We completed user research and concept testing to ensure the design for a Digital Training Marketplace was useful for buyers (agencies) and sellers (training providers). This involved 116 people from 18 agencies and a pilot with the Department of Human Services. This identified improvements to the Digital Marketplace. For example, the research led to the creation of a new training category on the Marketplace, a guided process for agencies to request quality digital training for their staff, and a new feedback mechanism for sellers to let us know about their experiences using the Marketplace. Digital Entry Level Program—We brought fresh talent into government through the Digital Entry Level Programs (apprenticeship, cadetship, graduate), placing 135 participants in 16 agencies in 2018 and 146 participants in 18 agencies in 2017. Women in IT Coaching program and Women in IT Executive Mentoring (WITEM) program—These programs attracted 98 participants from 25 agencies. Digital Service Standard training—We trained 1045 staff across Australian Public Service agencies in applying the mandated Digital Service Standard. Direct work with agencies—We worked with 10 agencies to improve capability and services. Events—Through our co-lab initiative we hosted ‘meet, share and learn’ events for the Australian Public Service. Staff from 64 agencies participated in our capability investment review and seminars to increase digital awareness and uplift digital skills. We also hosted guest speakers and held pop-up events in areas such as user research, service design, interaction design and content design. Digital maturity reviews—We assessed the digital maturity of 28 agencies and their ambition for digital transformation. This has given us, and the agencies, a robust baseline of digital maturity in the Australian Public Service and has helped us to identify the priority areas for digital transformation. 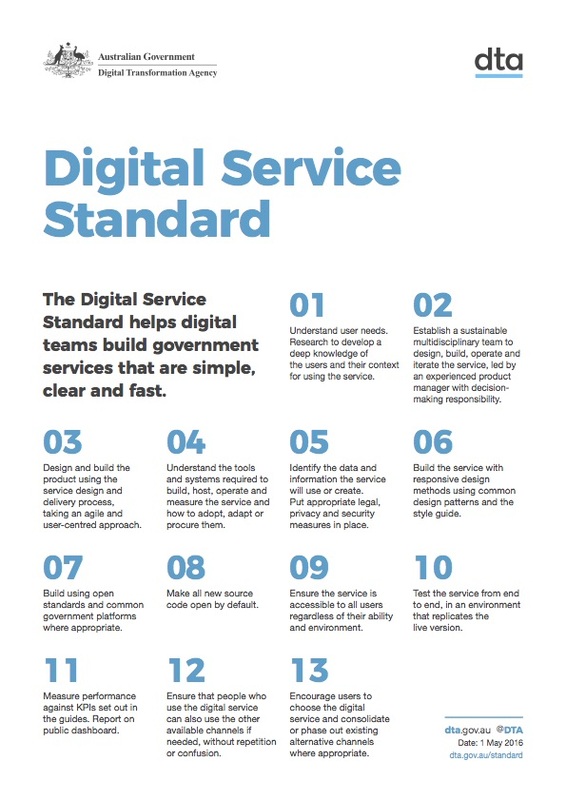 Digital Service Standard—During the year we partnered closely with five agencies to apply the Digital Service Standard to specific initiatives. Guidance and tools—We made available a range of government-focused guidance, tools and templates to assist agencies in applying the Digital Service Standard to their services. This included the Design System—a new, open source and accessible design system to speed up and make government websites and services more consistent. More than 186,000 components were downloaded this year, and 13 live projects are using the Design System. Demand is rising for government workers with digital expertise. Online help and guidance—We provide guides and tools to help government teams set up, run and maintain digital services. For example, in April 2018 we introduced the latest iteration of the Design System to help improve government websites and services (see Spotlight on…Making good design easy). Digital Service Standard training—Since the standard was introduced in May 2016, we have seen its adoption steadily increase. Already one in four agencies are using the standard, demonstrating how we are working with agencies to help them transform the way they think about and invest in digital services. Part of this is offering free training to help government teams understand and meet the mandated Digital Service Standard. We also work directly with agencies to help them apply the standard to specific projects. An example is the National Blood Authority’s Bloodnet platform. Putting users at the centre of this redesign changed the agency’s culture and structure to better align with the services delivered. Another example is the Department of Veterans’ Affairs MyService project. This improved the rehabilitation claim process by reducing a 16-page form to a two-screen registration and short survey, cutting the average processing from 107 to 30 days. See Figure 6 for details on the standard. Digital Entry Level programs—We provide entry level programs across the Australian Public Service for people starting their digital or technical careers. This includes apprentice, cadet and graduate roles. Since 2007 more than 1100 participants have been recruited to roles across agencies. Coaching and mentoring for women—We organise women in IT coaching and mentoring programs to help women develop leadership skills and increase their numbers in government digital roles. This year 98 women from 25 agencies participated in these programs. Participants reported these programs helped improve their job satisfaction gave them tools and networks to help advance their IT careers. Building Digital Capability program—We are developing this program with the APSC to attract digital talent, create clear career pathways, help managers create digital teams and inspire leaders to take visionary approaches to creating digital services. This year we designed and developed a digital skills blueprint, identified 12 learning standards, ranging from user research to digital leadership and content design to cyber security. We completed a pilot on the first learning standard, user research, with the Department of Human Services. We also completed a Leading Digital Transformation pilot with 16 Senior Executive Service (SES) officers, providing tools to help them drive digital transformation in their agencies. We are rolling out this program more broadly, staring with another 50 participants in July 2018. Agency partnerships—We partner with other government agencies, working with them to build or redevelop digital services. This includes mentoring and coaching, providing guidance and advice on service design, product management, content design, strategy, inter-ction design and user research. Digital communities of practice—We organise communities of practice that bring together people working in government to share ideas, show their work, solve problems and explore best practice. We have communities of practice for service design, user research, project management and content design. Exploring government use of blockchain—As part of the 2018–19 Budget, we were given the opportunity to explore innovative ways to securely and efficiently deliver government services using blockchain. We are investigating the potential of blockchain to securely record transactions, drawing on the experience of other public and private organisations. Delivering a dashboard for Smart Cities—We worked with the Department of the Prime Minister and Cabinet to develop a dashboard for the Smart Cities program. This is helping improve capability and services by tracking progress and performance of Australia’s largest 25 cities plus Western Sydney. This initiative won the award for best emerging government technology at the World Government Summit in Dubai in February 2018. Stimulating ideas and debate—We present at conferences, host forums and run communities of practice to share our expertise and generate debate and discussion on topics related to digital transformation. For example, this year we formed a community of practice for conversational user interfaces (CUI) in the public service, in response to demand for whole-of-government collaboration on the use of chatbots, virtual assistants and other forms of CUI. We also regularly publish thought leadership blogs on topics that fall within our areas of expertise. In addition we invite thought leaders to share their perspective and insights. An example is the February 2018 #DTAChat with renowned cultural anthropologist, technologist and futurist, Professor Genevieve Bell. Professor Bell addressed a large audience from across the public service and private sector (who attended in person or tuned in online) to discuss how we can ask the right questions to unpack the genuine challenges of transformation. Design systems have existed for decades in many forms. In the past, designers might check through large books showing how to use typefaces, headers, spacing, colours, logos and other design elements in different situations. Today, design systems also need code, web interface patterns and other elements to work online—the common foundations to speed up design and development, ensure consistency, prototype and test new features, deliver good online experiences at scale, and make fast improvements to the services people need. Our Australian Government Design System provides a framework and set of tools to help designers and developers build government products and services more easily. It includes a colour palette of light and dark themes, standardised fonts sizes and spacing functions for consistency. It also offers 24 tested components with baked-in accessibility, which users can add to any site or service. These are ready-made features such as text input fields, buttons, footers, and navigation items. Each can be combined, customised or extended to suit different uses. The system incorporates the highest useability and accessibility standards to help deliver a consistent experience for all users, in line with our mandated Digital Service Standard. We have added thorough reasoning on why and how we built individual components, along with accessibility information that shows how each behaves when used with screen readers and other assistive technologies. We thought about how components appear and function separately and together so they remain accessible in the end product, in line with the international web content accessibility guidelines or WCAG 2.1. This sets it apart, avoiding the difficult task of retrofitting accessibility standards to off-the-shelf frameworks. The Design System is attracting positive feedback from around the world. Thomson Reuters’ global head of design for Digital Identity Solutions said the Design System is ‘About as progressive as anything I’ve seen from a national government’. And IBM’s General Manager for Global Government and Industry said ‘Hats off to DTA for advancing accessible, open source design for public services’. We created the Design System for designers and developers across government to share and create a set of quality tools and designs that can be used by everyone—helping to uplift skills across the public service. We welcome questions, ideas and solutions from our design system community of practice to continue to improve and shape the system’s future direction. Our assessment is that we largely met our performance measures to achieve our purpose of accelerating digital transformation of government in 2017–18. We achieved nine measures and made significant progress on the remaining two. Our partial achievement in some areas was largely related to focusing on more immediate priorities earlier in the year before reprioritising to begin work on other major projects as the year progressed. At the same time, we also embedded changes to our organisation and adjusted our purpose to reflect our wider range of responsibilities in our first full year operating as the Digital Transformation Agency. improving the return on information and communications (ICT) and digital investment—including by monitoring and advising on significant projects, working with agencies to co-design an improved sourcing framework for ICT procurement, increasing competition in the marketplace, and establishing whole-of-government arrangements. Our Portfolio Budget Statement 2017–18 states our purpose as: ‘Our clear mandate is to drive user-centered service delivery and improve transparency of the benefits, costs and risks of ICT and digital investments made across the Australian Government’. This is different because we varied our Corporate Plan 2017–21 during the reporting period to take account of expanded accountabilities and machinery of government changes.